You like ice-cream, you say? Have I got a challenge for you! Back in Sydney, I went up to the Coast and spent some time with a few besties. And good ol’ Jess delivered, with an ice-cream-eating challenge. 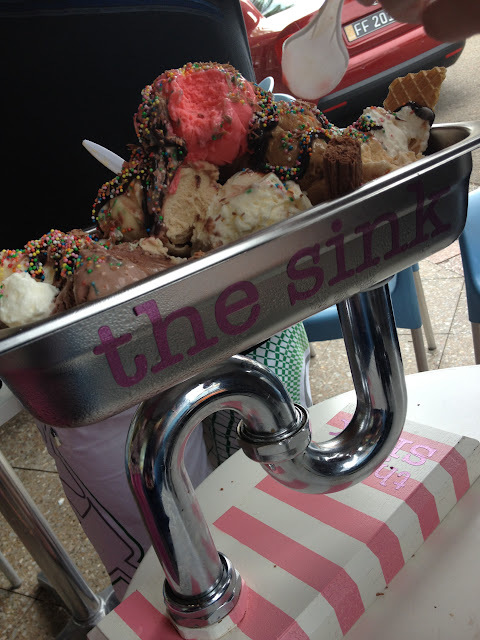 And if 15 scoops of ice-cream wasn’t enough calories – they threw in flake bars, waffles, topping and sprinkles! So much fun to eat all this! We all dug in like it was our job. It was a hot summer’s day so we had to eat it pretty fast before it all melted. 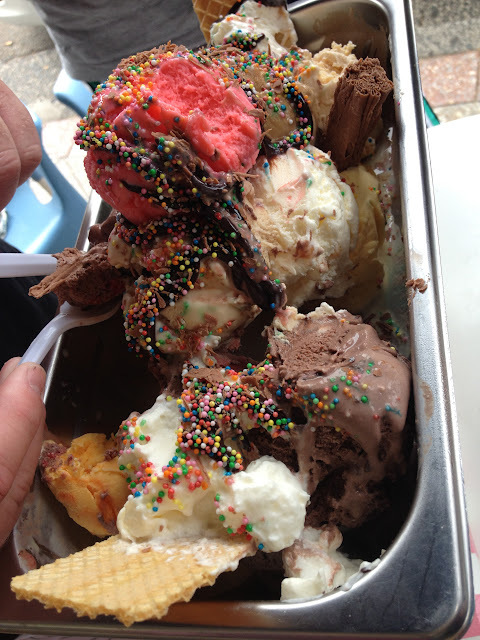 And with there being 15 different flavours we all jostled to try each one. 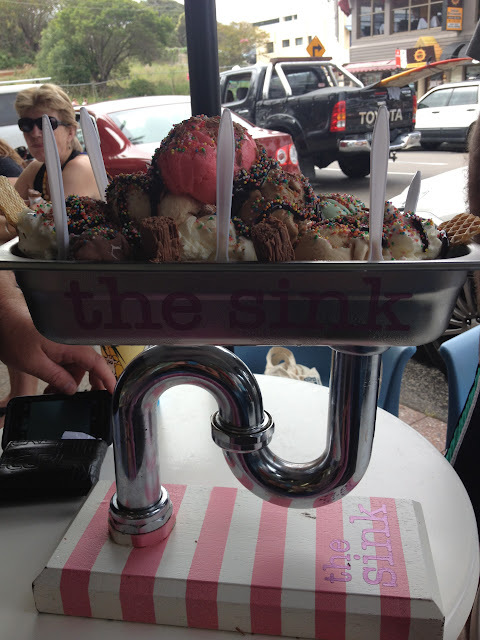 The Sink slowly, slowly, vanishes as we all tuck in.